I enjoy my current position as Office Manager at Bellingham Endodontics. My goal is to provide excellent customer service with compassion and enthusiasm. I am the self-proclaimed "mom" of the office. I strive to keep things running smoothly and to help patients feel at ease. Outside of work, I love to spend time with my family and friends. I enjoy cooking, gardening, being at the beach and soaking up sunshine whenever our Northwest weather cooperates. 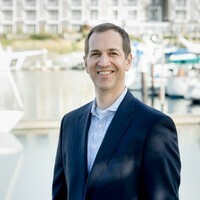 I graduated from the University of Washington Dental School in 2001 and completed my Endodontic Residency at the University of Washington in 2003. My wife and I moved to Bellingham in 2003 and I have been practicing here for over 15 years. We have four children and love adventuring with friends and family in this beautiful part of the country. 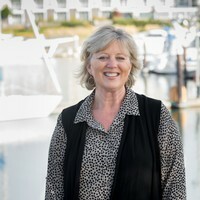 I was born and raised in Northern CA and moved to Bellingham in 2017 with my husband and 2 dogs. I have been a Dental Assistant for over 10 years but have worked in Dental offices for over 13 years. In my free time I love to travel the world and am a food and wine enthusiast. I grew up and currently reside in Skagit County. I went to school in Savannah GA to become a Registered Dental Assistant (RDA) then tested for my National accreditation (CDA) shortly after. I have been a Dental Assistant for over 10 years, primarily specializing in Endodontics. Over that time I have enjoyed learning all the different facets in a dental office from front to back. While not working you will find me either at home or out adventuring with my little family. We enjoy fishing, hunting, and just being outside. I was raised in Anacortes and thoroughly enjoyed spending time exploring the San Juan Islands with my family and friends. In 2013 I graduated from BTC and became a Registered Dental Assistant (RDA). In 2015 I received my National accreditation of a Certified Dental Assistant (CDA) and proudly maintain it annually. Outside of Bellingham Endodontics I like to hike, practice yoga, and explore the beautiful Pacific Northwest.